Olive Garden Alfredo Sauce Recipe Copycat – Gluten Free! 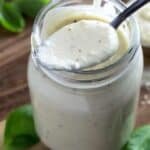 Olive Garden Alfredo Sauce Recipe is a copycat and gluten free version of your favorite Alfredo sauce! Made with milk, cream cheese, and parmesan, and spiced with nutmeg and garlic. 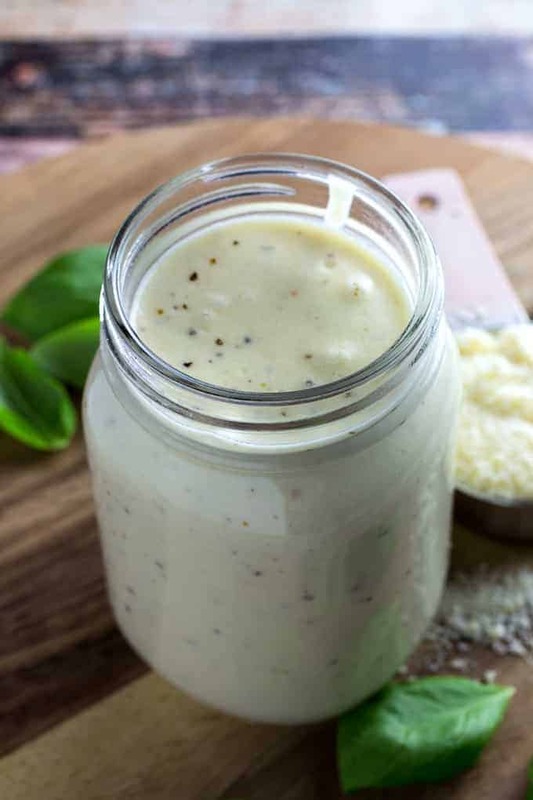 This gluten free Alfredo sauce is really quick and easy to make, too! 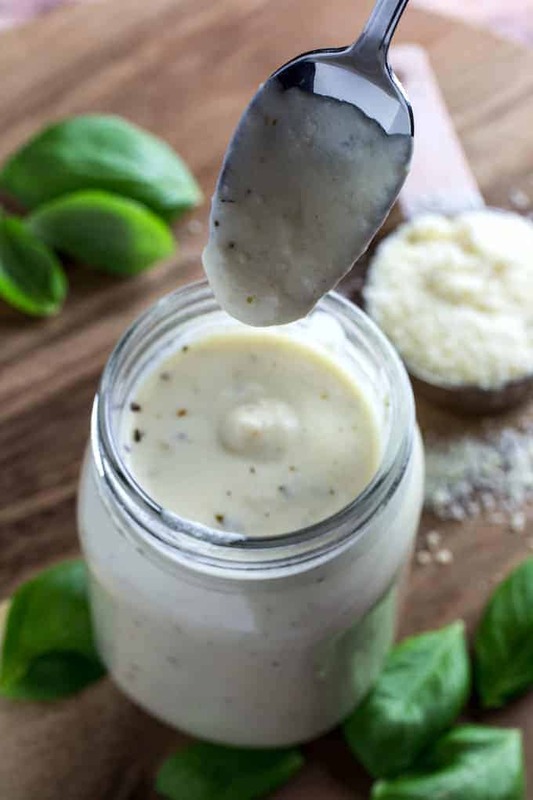 Olive Garden Alfredo Sauce Copycat – Gluten Free! There’s a lot of things I miss about gluten. Being on this diet is not always easy, even if it’s necessary. Which is part of the reason I’m always busy in the kitchen, recreating the foods I love. This way, I’ll never feel deprived of the good stuff. Like this copycat Olive Garden Alfredo Sauce recipe! I use this on gluten free pasta, and can’t even tell the difference. It’s super creamy and garlicky, with notes of nutmeg and herbs. Plus, it’s insanely easy to make, and takes no time at all! Why make Alfredo sauce with cream cheese? In most Alfredo sauce recipes, you’re going to find heavy cream and about 100,000 pounds of cheese. I mean, it tastes amazing. 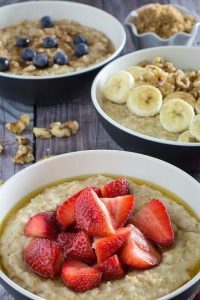 But I think you can achieve a creamy, rich texture without going so crazy on the calories (and the wallet!). So, I make my Alfredo sauce with cream cheese, or Neufchatel cheese (which is basically the same as cream cheese with lower fat and calories). If you want to go more a traditional route, all you really need is cheese, butter, and salt. Serious Eats has a great article about it over here. Does the Olive Garden make it’s Alfredo sauce with cream cheese? I have no idea. But what I do know is that this recipe comes out amazing every time, and tastes just like an Olive Garden Alfredo Sauce recipe. Plus, it only takes about 15 minutes to make, if you grate your own cheese. I use my big food processor, which has a grating/shredding blade on top. Honestly, I use this so often, I really couldn’t live without it! 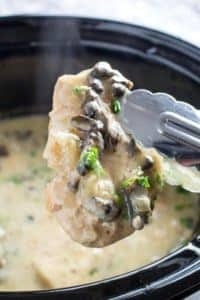 Easy homemade Alfredo sauce recipe? Yes, please! Alfredo sauce is one of those things that you pick up a jar of when you’re grocery shopping, or order at your favorite restaurant, right? No! Please, get that out of your head right now. 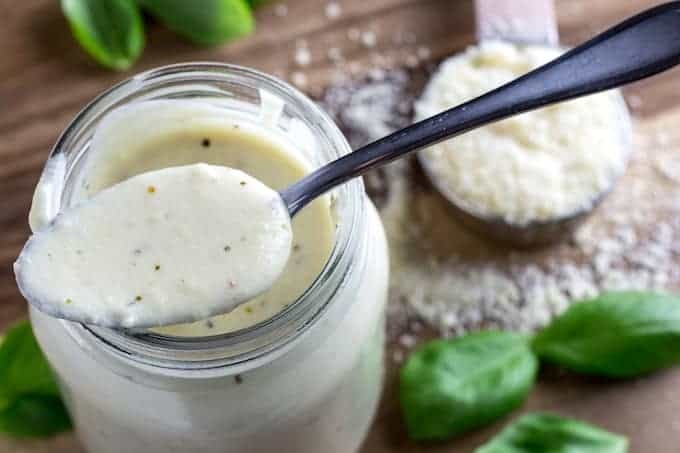 An easy homemade Alfredo sauce recipe is SO much more flavorful than what you find in a jar, and SO much healthier than what you get at a restaurant. Plus, you can make about 2 jars worth for 1/2 the price. Also, it’s ridiculously easy to make. I even shot you a few ways to learn how to thicken Alfredo sauce below! Once you find your favorite easy homemade Alfredo sauce recipe, I’m confident you’ll never go back to the store-bought jar again. And if you do, then I’ll eat my hat (I heard that on I Love Lucy once, I feel like this is a fitting time to say it). If you’d like to learn how to thicken Alfredo sauce, it’s a lot easier than you think. There’s a few different ways you can do it. Make a roux. Which basically means melt some butter in a pot, sprinkle a few tablespoons of gluten free flour in there, when whisk like your life depends on it. After a minute or so, it’ll start browning. Then pour your milk in and continue to whisk. In another minute or so, your milk will start to thicken beautifully. This is when you add your spices and cheese, and whisk until it’s all melted and beautifully combined. 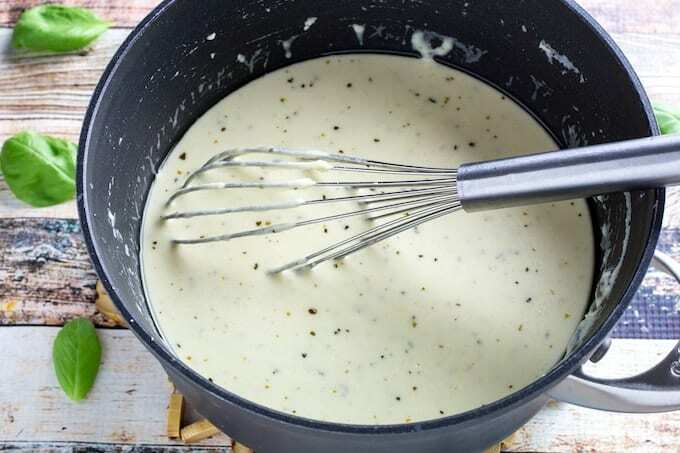 This is probably the most successful way I know how to thicken Alfredo sauce. Add more cheese. A more calorie-dense way to thicken Alfredo sauce, and often used. You can just keep dumping cheese into it until it’s thick. I mean, it’s delicious. But you’ll be at 500,000 calories by the time you add pasta to it. Make your Alfredo sauce with cream cheese. This one’s a no-brainer. 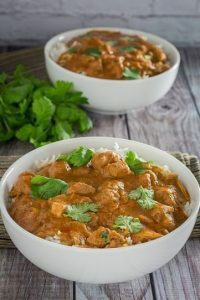 Start with a thicker, creamier base, and you’ll get a thicker, creamier sauce. Like I mentioned above, I use Neufchatel cheese to bring the calories and fat down a little bit, and it works just as well as cream cheese. Did I mention this Olive Garden Alfredo sauce recipe is also a gluten free Alfredo sauce? That’s right, no gluten containing ingredients in this easy homemade Alfredo sauce recipe. You won’t even have to worry about finding gluten free flour, or how to thicken Alfredo sauce, because I’ve taken that completely out of the equation. So enjoy your gluten free Alfredo sauce without hesitation, while your family will never even know it’s gluten free! I don’t recommend canning anything with milk in it at home, but it’ll last in the refrigerator for about 3 or 4 days. Olive Garden Alfredo Sauce Recipe Copycat - Gluten Free! Melt butter in a medium saucepan. Add cream cheese and whisk until smooth and combined. Add milk and parmesan and whisk until melted in and combined. Whisk in spices. Toss with gluten free pasta and serve. Easy White Chocolate Strawberry Cheesecake + 8 Tips For The Perfect Cheesecake! 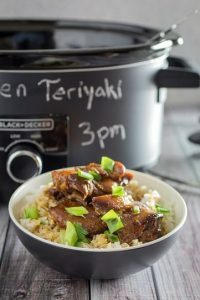 This is the recipe I had been waiting for! 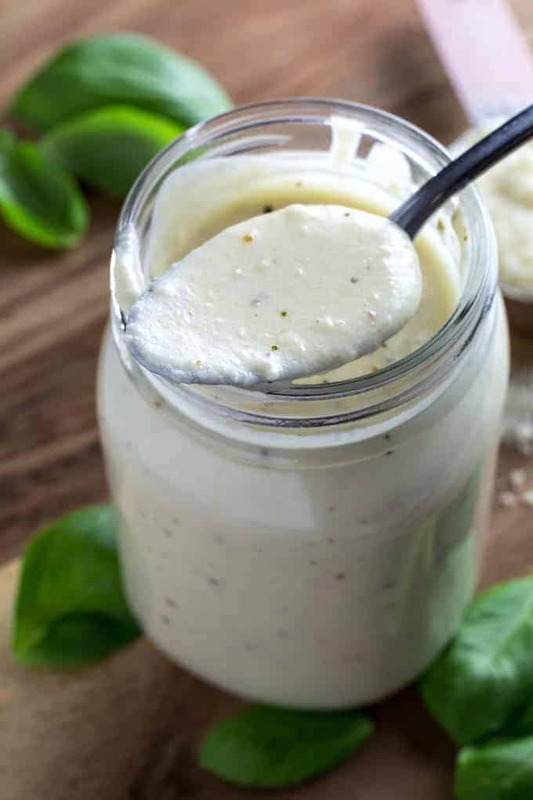 My niece who was visiting from out of town must maintain a gluten-free diet, so I was searching for a gluten-free alfredo sauce with beautiful textures and a fabulous flavor profile. This is it! It turned out just as described. Mmmm….yummy! 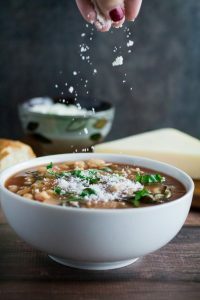 This recipe turned me into a Super Hero! My son LOVES Olive Garden’s Alfredo Sauce and was so amazed that we can have it at home now. 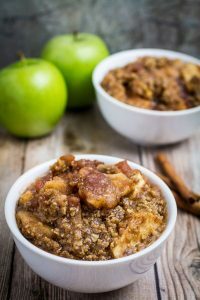 Thanks you for the recipe! Love this! Alfredo sauce is so easy and so delicious! 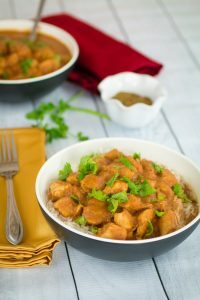 Love that I can make this copy cat recipe at home, and it tastes just like it does in the restaurants! 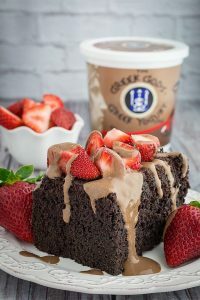 Right into your inbox weekly, 100% Gluten Free! © 2015 Dishing Delish. All Rights Reserved.